The Chinese foreign ministry summoned U.S. and Canadian ambassadors over Meng Wanzhou’s detention. As The Diplomat has been following, Meng Wanzhou, chief financial officer and deputy chair of Chinese telecoms giant Huawei as well as a daughter of Huawei’s founder Ren Zhengfei, was arrested in Vancouver, British Columbia on December 1 at the request of U.S. law enforcement authorities. The case has been dominating the headlines of Chinese media ever since. On December 7, during Meng’s bail hearing at the British Columbia Supreme Court in Vancouver, new information — most sounding highly disadvantageous to Meng — was released to the public. 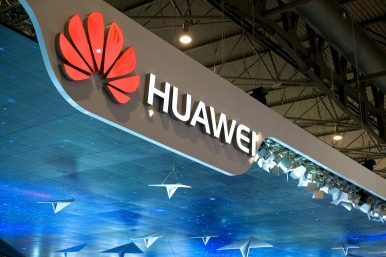 Meng is accused by the U.S. authorities of having misled multinational financial institutions about Huawei’s control of a company called Skycom operating in Iran between 2009 and 2014. If found guilty of the charges, Meng could face a maximum penalty of 30 years in prison. As Meng’s bail hearing is to resume on December 10, China escalated its pressure on the United States and Canada, demanding her immediate release. “Such a move ignores the law and is unreasonable, unconscionable, and vile in nature,” Le said. The next day, Le summoned U.S. Ambassador to China Terry Branstad on Sunday to again lodge solemn representations. It’s worth noting that in terms of wording, Le’s “strong protest” against the United States is apparently weaker than that against Canada. It seems that against the backdrop of U.S.-China 90-day truce in their trade war, Beijing is still trying to avoid infuriating Washington too much over Meng’s case. In comparison, Beijing has made up its mind to launch a criticism campaign against Ottawa. People’s Daily — the official newspaper of the Chinese Communist Party — on December 9 published an article harshly condemning Canada for “blatantly violating the human rights” of Meng. The Canadian side must think clearly that there is no vagueness between justice and arbitrariness. The Canadian side must correct its mistake, immediately stop infringing the legitimate rights and interests of the Chinese citizen, and give the Chinese people a proper explanation. It’s the only way [for Canada] to avoid paying a heavy price for this. Notably, the article was written under the pen name “Zhong Sheng,” a homophone for “the voice of China.” Whenever there is some significant issue between China and other nations, People’s Daily uses this specific pen name to make a statement. On the same day, Xinhua also published a commentary titled “Chinese citizens’ legitimate rights, interests inviolable.” Fully in line with People’s Daily, Xinhua harshly criticized Canada in the commentary — rather than focusing on the United States.